The sun’s out, the weather’s warm and summer is in full swing, so make time to head for the hills to enjoy forested adventure with folks who know all about western hospitality. In Oregon’s coast range mountains, sit tall in the saddle and enjoy unique perspective on a summer horseback ride at the Flying M Ranch in Yamhill County. The ranch’s 100-yard air strip is a perfect fit for short, fast takeoffs and landings. 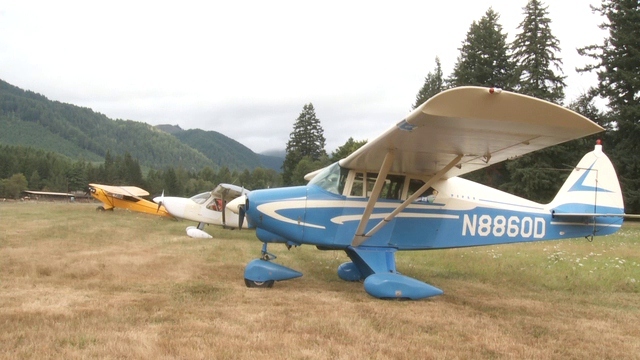 Pilot Doug Jackson said small aircraft fly in from all over Oregon just for the weekly morning gathering each Sunday, where they’re greeted by a fresh breakfast cooked up by Flying M Ranch owner, operator and chief cook Barbara Mitchell. 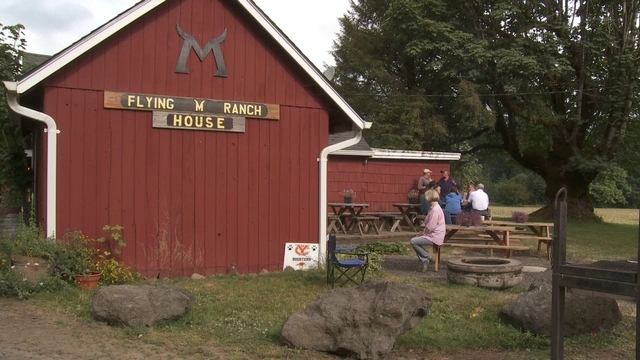 The Flying M Ranch House has served up down-home comfort for decades. In fact, the ranch house is an old CCC headquarters building that housed the boys who worked in the local woods back in the 1930s. The Mitchell family’s roots reach back a century when Barbara’s husband Bryce’s parents settled in the area. The Mitchells have been in the hospitality business since 1971, when the ranch started trail rides across their forestland. Today, her granddaughter Jessica Reber – plus a small army of sisters and cousins – hold on to the reins of the daily trail rides. There are more than thirty horses at the Flying M, and each horse is matched with the skill level of the riders who show up to enjoy an hour, two-hour or day-long adventure. There are countless trails to ride along the eastern flanks of the coast range hillsides that rise to the top of Trask Mountain. 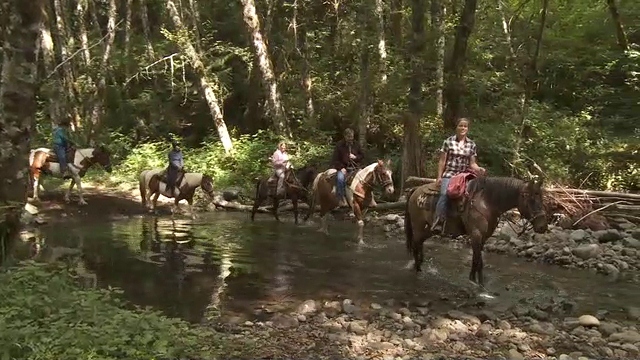 During the heat of summer, riders can stay along the banks of the nearby North Fork Yamhill River that meanders through the Mitchell property. It’s cool and refreshing for riders and horses alike. The Flying M’s ‘Ranch House Breakfast’ is special too and if you go, bring an appetite. It occurs each Sunday and reservations are required. Trail riding is open year round, seven days a week and you can join a guided tour by calling ahead. 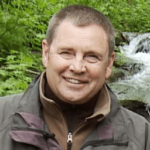 Grant McOmie is a Pacific Northwest broadcast journalist, teacher and author who writes and produces stories and special programs about the people, places, outdoor activities and environmental issues of the Pacific Northwest. A fifth generation Oregon native, Grant’s roots run deepest in the central Oregon region near Prineville and Redmond where his family continues to live.